MikroTik 1m SMA male to SMA male cable Copyright © 2019 ComXpert International CC - COPYING IS ONLY ALLOWED FOR THE PURPOSE OF SENDING US ENQUIRIES. E&OE. We are offering full range of accessories in order to connect external LTE antennas to our LTE product line. R11e-LTE or R11e-LTE-US miniPCIe card can be installed to wAP R unit.R11e-LTE / R11e-LTE-US cards have two U.fl connectors, where ACSMAUFL pigtails can be connected. ACSMAUFL pigtails have SMA connectors, that fit nicely in special mounting places of wAP R. SMASMA cables then can be used to connect ACSMAUFL pigtails to any external LTE anntenna with SMA connectors., ©2019 ComXpert International CC Copyright © 2019 ComXpert International CC - COPYING IS ONLY ALLOWED FOR THE PURPOSE OF SENDING US ENQUIRIES. E&OE. The best price and guaranteed service and backup from official computer suppliers in South Africa for the MT-SMASMA MikroTik 1m SMA male to SMA male cable. The MikroTik MT-SMASMA MikroTik 1m SMA male to SMA male cable is available for R144. The product is sold by ComX Computers as new. Prices are valid today 2019-04-24 (before 2019-04-25 , by quote, while stocks last). The product is expected to be in stock, although this is not guaranteed. 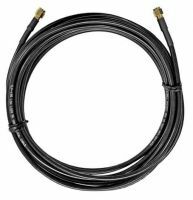 Find related MT-SMASMA MikroTik 1m SMA male to SMA male cable products in our RF Cables (Antennae) Category for even more options. Read reviews and find out about MT-SMASMA MikroTik 1m SMA male to SMA male cable. Discounts, specials and cheap prices only at ComX Computers.